The Night Owl NexGen 3X Monoculars w/IR Illuminator are one of Night Owl Optics' Gen 1 night vision best sellers. Night Owl NexGen Night Vision Monoculars feature a weather-resistant rubber-coated body frame and a camera-quality 48mm objective lens magnifying images at 3x or 4x power. 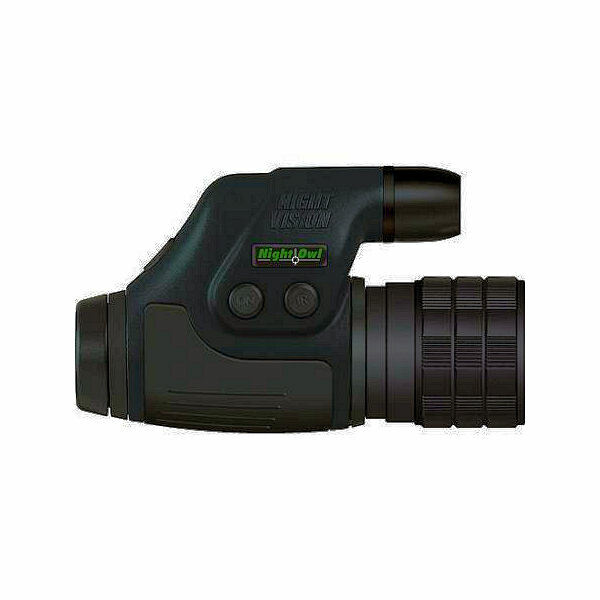 The NexGen 3x Night Vision also comes with ergonomically placed operational buttons providing easy to use, single-hand operation. Field of View: 280 ft. at 1,000 yd. Dimensions: 6.06 x 2.35 x 3.80 in.